Ready to get smurfed? Blue Tansy is such a neat and unique essential oil. It’s not new to the doTERRA world – it’s actually the oil that gives Balance and Deep Blue their beautiful blue color. Blue Tansy is steam distilled from the flower, leaf, and stem of the Moroccan Tansy. It’s a yellow-flowered Mediterranean plant. The beautiful blue color comes from the chemical constituent called Chamazulene and them main component is Sabinene. I thinks it’s kind of funny that our blue oil comes from a yellow flower! It’s fun! DoTERRA says that this oil smells fruity, mellow, and balsamic. *I* say it smells like cooked noodles. HA! It’s a pretty strong smell. I add another oil and a carrier whenever using – but that’s my personal preference. Before moving on, let’s talk for just a few seconds about purity. There is little regulation in the market on essential oils. 100% pure does not mean that you are getting the best or safest oil. My family chose doTERRA because we believe that they have the highest standards on the market – the Certified Pure Therapeutic Grade. I also love their honest business practices like fair wage, sustainable sourcing, and their works through the Healing Hands Foundation. Does the Blue color stay on your skin long? When I use Blue Tansy the blue color is gone within 5 minutes but it can last an hour or two for other people. Dilute the oil or apply with another essential oil to reduce bluing. Note that it took about 4 drops of Blue Tansy to get my sister’s hands to turn SO blue for the feature picture at the top of this post. We didn’t dilute and we took the picture immediately after applying. We were going for a dramatic shot! Thanks Emily for helping me out! Does the smell stick around after applied? YES. Oh my goodness. I use this oil in the morning and I can smell it all day long. The blue color goes away but the smell stays. Does Blue Tansy need to be refrigerated? No. It does not have to be refrigerated. But you should know that I refrigerate mine. You’ll find that Blue Tansy is similar to oils like Roman Chamomile and Yarrow. This oil can be use Topically and Aromatically. Great anti-oxidant capacity – Apply topically with some coconut oil along the spine and the bottoms of your feet. Apply to tired joints and muscles for a soothing sensation. Dilute with some coconut oil for longer lasting results. 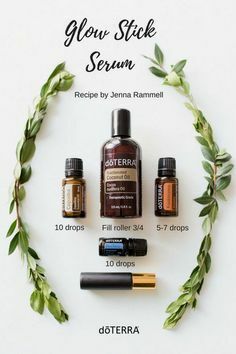 I love using this oil with Siberian Fir! Use a drop or two with your moisturizer and apply to your face before going to bed. This oil is great for reducing the appearance of blemishes. Apply topically to irritated skin. Use with a lotion or carrier oil before and/or after a good workout. Use Blue Tansy in a restorative massage after a rough day. Use topically or aromatically when seasonal threats bother you. Apply to skin overexposed to the sun. Use to combat occasional head tension. Would you like to try some of these Oils? Check out my SHOP page – I can get you the highest quality EOs for you at a 25% off retail price. Diffuse this oil when you are trying to make a change for the better. Don’t settle for stagnant. Diffuse or use topically when you are tempted to procrastinate. Diffuse to promote an inspired, energized, and responsible environment. This oil diffuses well with Coriander, Fennel, and Roman Chamomile. How do YOU use Blue Tansy? If you like this post, share it with your friends! love the lay out of your website. so clean and easy to use . Awe! Thank you so much Katt! I use a Genesis theme called Pretty Happy. It’s so easy to use. I love how clean the look is!